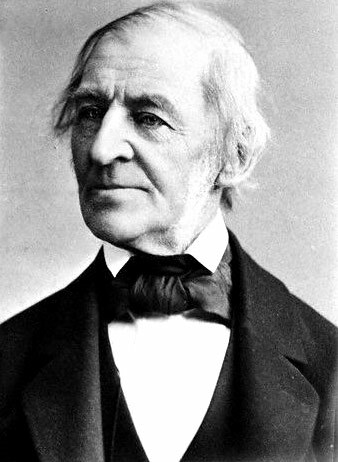 The nineteenth century American essayist Ralph Waldo Emerson wrote a piece titled “Self Reliance”. In a context I can’t recall I stumbled on this essay in my late teens. The essay has merit and at the time I found it had a certain appeal as an invitation away from conformity and encouragement to a confidence that would be undaunted by the everyday challenges of life. This memory came to mind as I have been thinking about waiting, weakness and vulnerability as gospel virtues. These virtues pose a challenge to the prevailing themes of modern life; ambition, power and individualism. In our fast-paced technological world self-reliance seems both relevant and necessary. But something gets lost in the mix. What easily slips out of sight is community, relationship and our need for one another. Emerson was an advocate for a bold individualism. This echoes the Romantic idea that set the individual on a pedestal. Nowhere is this idea more pronounced than among artists: the writer, the painter, the poet, the actor all seeking to live out their unique qualities as “creatives”. Yet it is common to read of the inner anxieties, conflicts, fears and brokenness in the lives of artists. In a little book titled Art and Fear (review page two)we are given a glimpse into some of the “perils and rewards of artmaking”. It is suggested that “art is like beginning a sentence before you know its ending.” (p.20) Artists are not alone in the work they do. They engage with words, stone, the body, or with an idea, a theme or a technique. And both the artist and that which they engage require room to move. I once heard author P.D. James speak to this. She was asked what she was going to do with one of her characters in her next book. In her response she made it clear that she did not have full control over her characters – she needed to wait to see what they would do. Artists are called to live with a good measure of uncertainty. It is this lack of control and predictability that invites the artist to a place of waiting, weakness and vulnerability. It has been observed that there is a close link between loving and waiting. 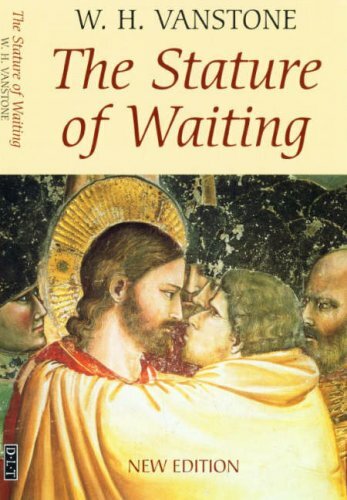 “Where love is, action is destined to pass into passion: working into waiting.” (W. A. Vanstone, The Stature of Waiting) The culture of the “instant” is a sham and traps us on the surface of life. All who love know something of the call to wait, not least the artist who wrestles into being some new artistic form. Though skill and training are important for the artist they are most likely to flourish when they are not the focus. Dependency and humility are more valuable to the creative process than pedigree and power. And so it is from a place of weakness that the creative gift can do its magic. Vulnerability too seems inevitable for the artist. A work of art is deeply personal – capturing something of the inner life of the artist. It carries a mix of idea, emotion and personal interpretation put into the open for others to see, to evaluate and respond. This is surely a place of vulnerability which may be accompanied by fear, covered by arrogance or something in between. It may be obvious by now that the characteristics I have pointed to in relation to art also show up in the context of Advent and in the biblical account of the gospel. Waiting, weakness and vulnerability are all counter- intuitive as options for contemporary life. But they are integral to the biblical call to faithfulness. Advent is a time of waiting where we are to turn our attention less to tasks to be done than to promises to be received. 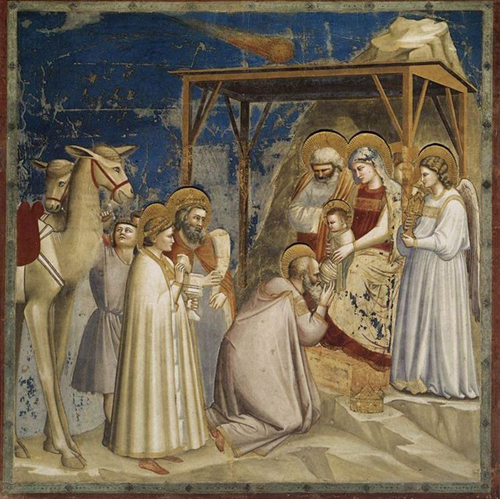 The strong claim that the Word became flesh and “tabernacled” among us is at the same time a story of weakness and vulnerability – the babe of Bethlehem. If one surveys the Pantheon of the gods – it is evident that power and self interest prevail. A dramatically different account of divinity is expressed in the gospel story – it is one of weakness and self – giving. I am struck by how waiting, weakness and vulnerability seem to reach to the heart of our humanity and tell us something of who we are and how we are to live. Perhaps it is not surprising that the two deeply human engagements of art and religious faith are best shaped by the presence of these three themes. Each in its own way may be uncomfortable for us – but each has the potential to enrich, strengthen and mature us in ways we might never have imagined. At this year end I am once again grateful for the good things that have transpired in the work of Imago in 2009: special events, personal meetings with artists, and making possible new creative initiatives. To all who support this work through your generous financial gifts I remain most grateful. I trust that we can count on your continued support and that new supporters will join us in the coming months.